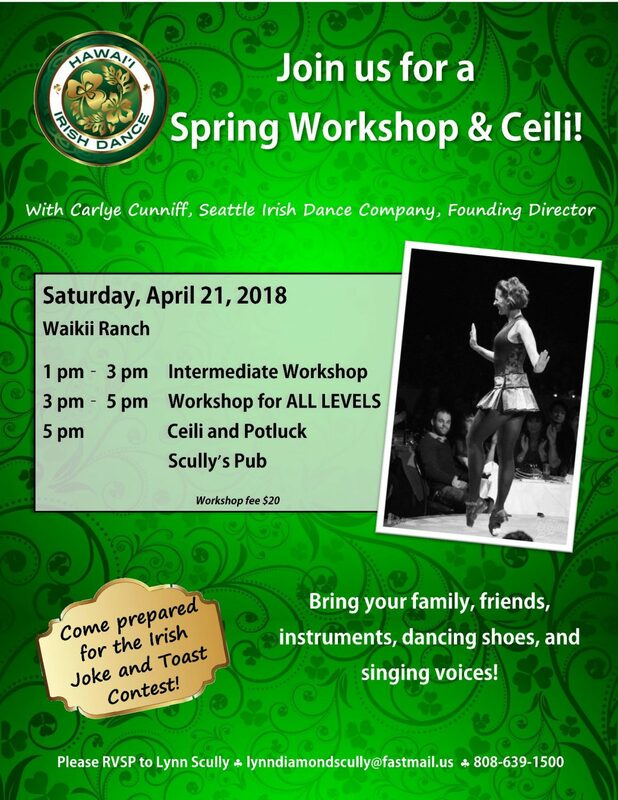 We are very fortunate to have Carlye Cunniff, the founding director from the Seattle Irish Dance Company, here on the Big Island on Saturday, April 21, thanks to in part sponsorship by the Friends of St. Patrick. We are going to have two workshops that afternoon as well as a ceili & potluck that night so there is something for everyone! For those of you new to ceilis, a ceili is a fun get-together with music, dancing, and food. Bring your family and friends – everyone is welcome!